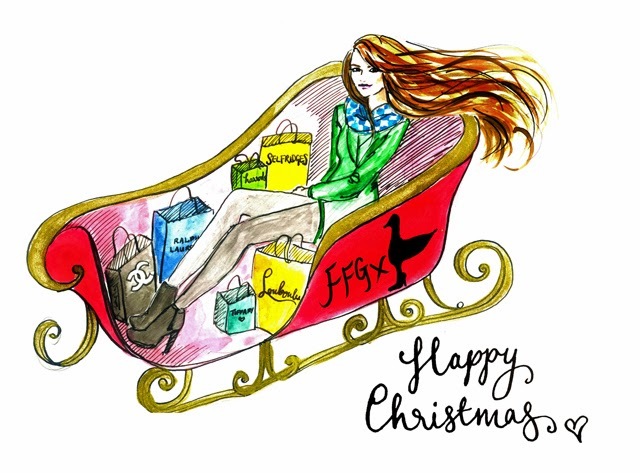 Happy Christmas from FFG, now go and enjoy time away from the computer! For the first time in four and a half years, we are shutting down FFG for the holidays. Now as sure as I write this, I have a feeling something mega will happen right smack in the middle of the "shutdown". So let's just call this what it is... an attempt. Should Anna Wintour retire, Karl Lagerfeld leave Chanel or Ralph Lauren announce his formal adoption of me as a long lost child, you will still hear it here first. So in the event that we manage to stick to this two week shut down, allow me to wish you the merriest of Christmases and the happiest of New Years. 2013 has been an amazing 12 months, but I have a feeling 2014 will prove to be a year to truly remember. Thank you for all your continued support throughout 2013. I truly feel my greatest present this year has been the amazing support I receive from all of you on a daily basis. To say I feel blessed is the understatement of the century. I am filled with gratitude and will work even harder in 2014 to make sure I bring you the best of the best on a daily basis. Now turn off your computers and go spend time with friends and family over the holidays. PS. 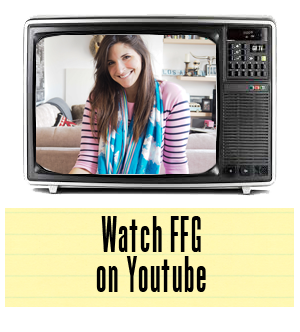 I'll still be active on Twitter and Instagram, should you need your FFG fix. I mean I couldn't shut down completely. Baby steps, people.